Owing to our relation with our business partners, such as REMI, Premium, PBL, MOTOVARIO (Italy make), we have been offering premium Gear Boxes to the customers. High performance, smooth functioning and hassle-free operation are some of the important features of our products. 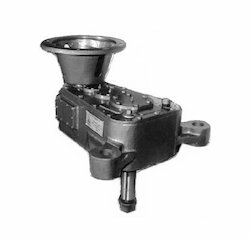 These are extensively used in various industries including mini cement & road construction plant, automotive industries and chemical plant. 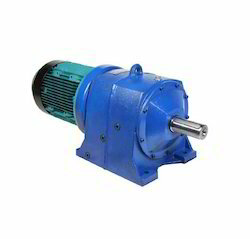 In this range, the products offered by us includes Worm Gear Boxes, Gear Boxes, Geared Motors and Helical Gear Boxes. We are pleased to offer a premium range of Helical Gear Boxes to the customers. Our business partners ensure that all these products are precision engineered and are built using sophisticated machines. Different industries, depending upon their needs, utilize these products for different purposes. These machines are noted for high performance and hassle-free functioning. Applications : Conveyors, Agitators, Cranes, Crushers, Elevators, etc. Industry : Chemical, Pharma, Plastic, Food Processing, Automation, etc. 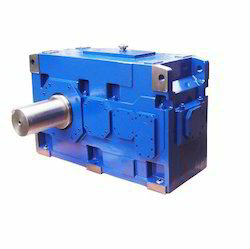 We have carved a niche in offering premium Premium Industrial Worm Gear Boxes. These products have aluminium and customers can avail these in different capacities. Owing to the features, such as low operational cost, high performance and low noise, we have been able to make our mark among the renowned players of the similar domain. These products are resistance to rust and are noted for fine finish and high functionality. 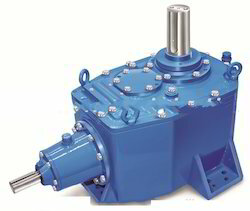 We Offer Cooling Tower Gearboxes. 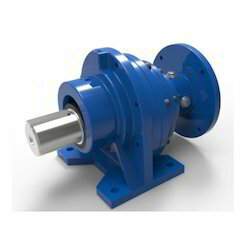 Case Hardened and Lapped steel spiral bevel gears to transmit the torque between right angle shaft. Unicase design with Pumpless Lubrication and three-point Foundation. Applications : Cooling Tower and Heat Exchangers. Industry : Plastic and steel Industry, Sugar, Cement, Paper, Solvent Extraction, Power Plants, Mineral Processing, etc. 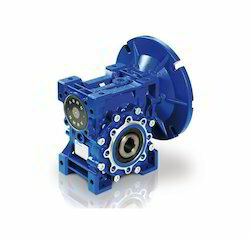 Extruder Gear Boxes - Premium Greaves ‘Ghe’ Series, speed in project implementation ensures competitive advantage. Highly reliable and optimised as per industry requirements. The gear units are quite capable to transmit the high torque required for pressurising and plasticising moulding materials and also to absorb the high axial thrust load through built-in spherical roller thrust bearing. The axial bearing housing is standardised to accommodate suitable thrust bearings and corresponding output shafts with key are splined. Application : Slewing, Wnding, Mining Operations, Wheel Drives, Concrete Mixing. Industry : Construction Equipments, Cranes, Material Handling, Steel. 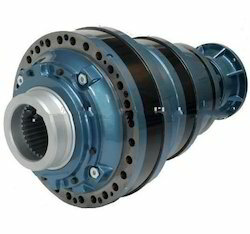 Case hardened and lapped steel spiral bevel gears to transmit the torque between right angle shaft. Unicase design with Pumpless Lubrication and three-point Foundation. Motovario (Italy Make), SIEMENS, Premium Greaves (ALTRA), Bonfiglioli Make, Worm/Bevel helical right angle Gearboxes with hollow input and hollow output shaft, Aluminium body, light weight, suitable for packaging, printing, textile, sewage treatment, pharma, etc. applications. 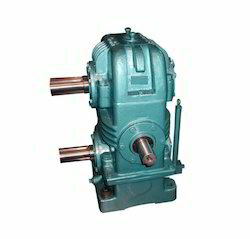 "GA" series parallel shaft vertical gear drives in triple reduction are intended to satisfy characteristic requirements and conditions encountered in Aerator application. ‘H’ Series Parallel Shaft Helical Gear Boxes with Single, Double, Triple and Quadruple reduction stages. 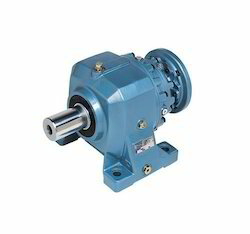 ‘B’ Series Bevel Helical Gearboxes. Features : Very High Efficiency at all ratios. Ball Mills, Fans, Aerators, Cooler Drives, Kneaders, Thickeners, etc. Environmental and Process Engineering, Mines and Material Handling, etc. 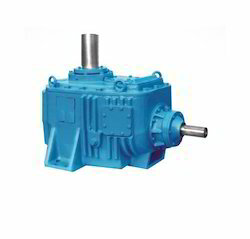 We are the leading supplier of Single Shaft Extruder Gearbox made from supreme quality material. Owing to the support of our reliable business partners, we have been able to bring forth an extensive range of Gear Boxes. Helical in shape, all these products a re renowned in the industry for the features like high performance, smooth functioning and less noise. 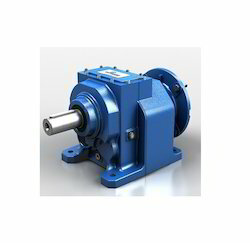 The Gear Boxes are appreciated for the features like high efficiency, robust construction and standard designs. Along with Gear Boxes, customers can also avail screw and barrel, which are outfitted with helical gear boxes. 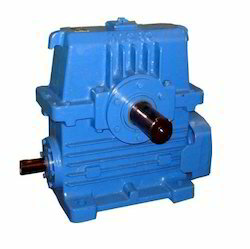 In Motovario Worm Gear Box, universal mounting arrangements as per desired applications. 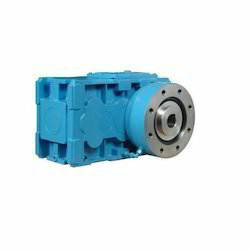 We are offering our client an excellent quality range of High Speed Altra Gear Boxes. 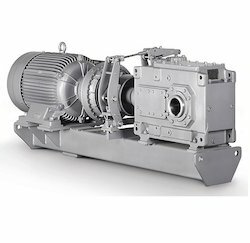 The Altra Worm Gearbox is fabricated using premium grade raw materials in compliance with the international quality standards. 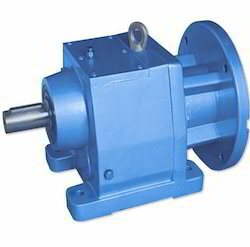 These Worm Gearboxes are widely finds its applications in various industrial sectors. Industries : Material Handling, Pharma, Packaging, Food Processing etc. 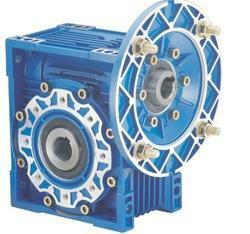 "HA’ / ‘H’ Series ‘Italian make’ Inline Helical Gear Boxes with 1,2,3 reduction stages. Features : Life Long Synthetic Lubricated Oil filled gearboxes with excellent mechanical strength, supporting high axial loads. Power Range 0.12 Kw to 1500 Kw. 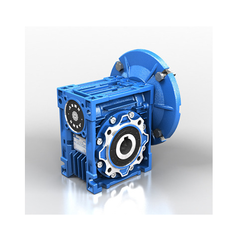 Premium 'GP' series Planetary Gearboxes in single, double, triple, quadruple reduction models are intended to satisfy all the requirements of a reliable drive for slow speed high torque applications. Standard range of Premium 'GP' series available in foot mounted and flange mounted versions. Industry: Construction Equipment, Cranes, Material Handling, Steel. 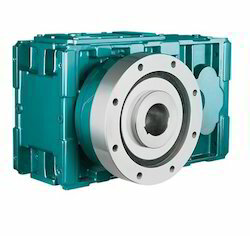 Siemens - Flender Range of Heavy duty gearboxes : These gearboxes form the heart of industrial machines mainly used in industries such as Cement, Iron and Steel, Paper, Oil and Gas, etc. Type: Bevel Helical: B3DH (Hollow shaft for Shrink Disc), B3HH (Hollow Shaft), B3SH (Solid Shaft), H2SH, B2SV, etc. Options available: For Applications like Operation under load, maintenance drive, bucket elevator, rotart kiln, replacements or new requirements in Steel, Automobile, Cement, Oil and Gas, Petrochemical and Material Handling industries. Looking for Gear Boxes ?